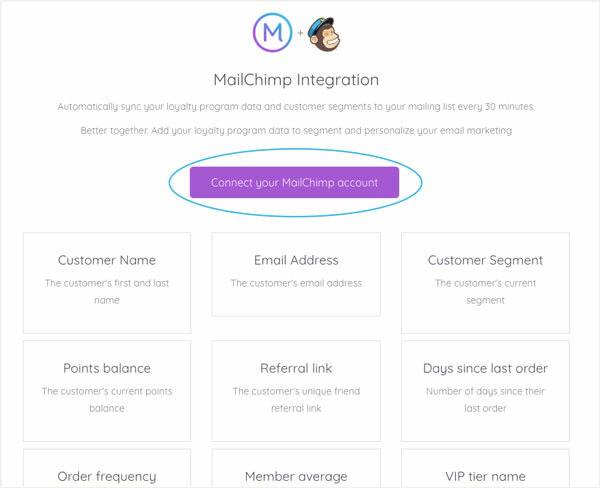 Here, you will see the 12 different loyalty program and customer segment data that can be synced to Mailchimp. 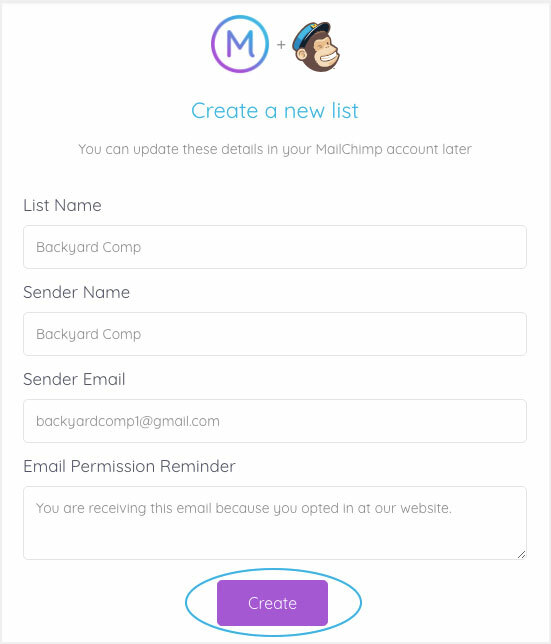 Creating a new list, will automatically create a new list in your Mailchimp account to sync your loyalty program & customer segment data into. 2. Choose up to 12 loyalty program and customer segment data to sync to your Mailchimp account. To select the fields, simply click on the tick-box. Your selected loyalty program and customer segment data will now start syncing to your Mailchimp account every 30 minutes. I have received an error message saying I’ve exceeded for my customer list? Mailchimp only allows 30 fields in total to be in Mailchimp list. 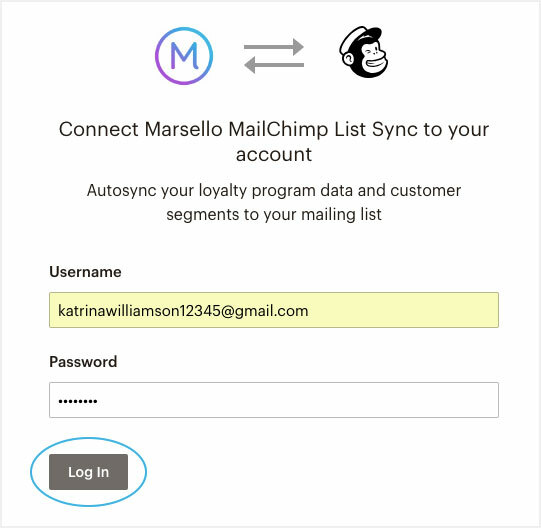 This means that Marsello is unable to sync all of your chosen customer fields into your Mailchimp list. To learn more about Mailchimps list settings and how to review your fields see their support article: Manage List and Signup For Fields. 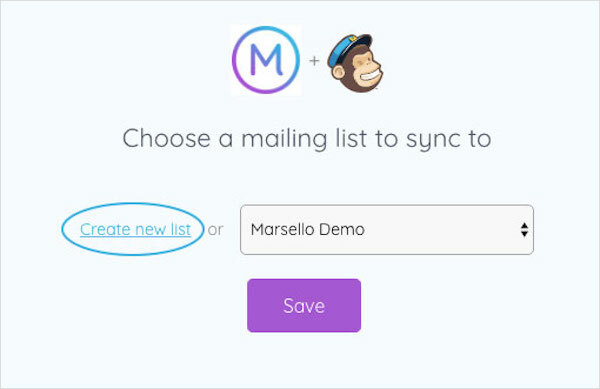 Create a new Mailchimp list for your Marsello customer database to be synced in to. 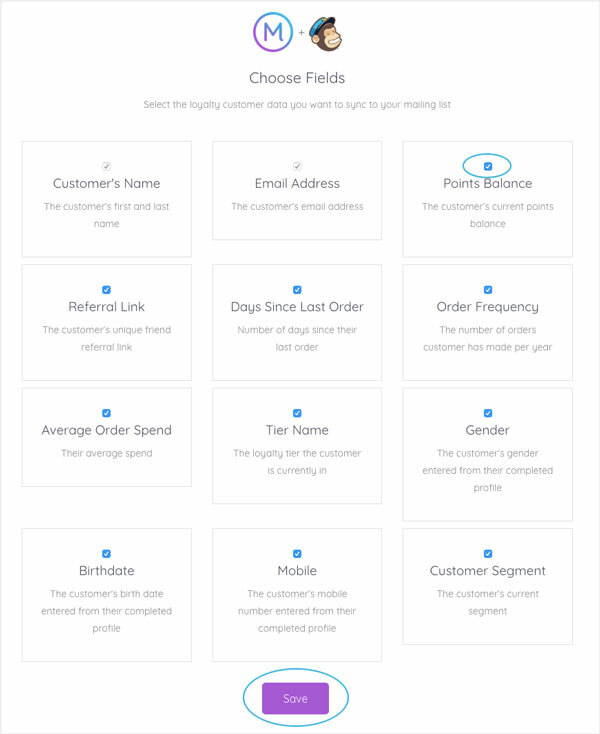 This will ensure that you have enough space to sync all of your customer fields.